In this decade, it is not enough to decorate your house but also look after it. The same goes if you have a business as well. In that case, your building will have confidential files and assets too. With the increasing crime rates, no house or office is exempt from being a target. No matter how good of a security guard you keep, it is not adequate for all-round surveillance. Even if you stay in a quiet, comparatively low-crime rate area, it is still beneficial for you to have security systems installed as it gives you the peace of mind you need. For this purpose, trust D & S Security to do the job for you. With high-tech surveillance camera and alarm systems, we have been taking care of safety and peace of mind for more than 3 decades in areas like Anaheim, Burbank, Long Beach, Los Angeles, Torrance and so on. Needless to say, the most important function of a security camera is to keep record of a crime and catch the perpetrator on time by identifying him with its high-resolution lenses. Then again, the camera also has additional benefits like deterring crime. A mounted camera automatically discourages the criminal from stepping forward and committing a crime on the grounds of getting caught. 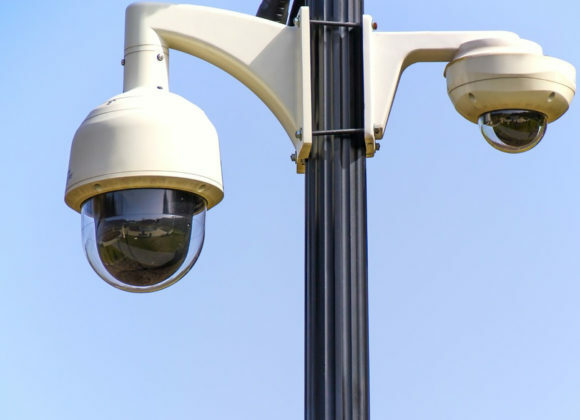 Even if the camera does not have to report crimes all the time, it can be useful to keep track of suspicious incidents and people in the compound and immediate neighboring area. Surveillance cameras also offer round-the-clock service that a human being cannot. Since it is not practical to hire security guards 24 hours a day, especially for residence buildings, these cameras, which are electronically wired to keep working all the time, keep you safe even in the remainder hours of the day. For more details or receiving a quote, contact us now without any further delay.